Our goal is to have a successful estate sale that benefits both the Client and the company and makes the experience pleasant and profitable for both. at 6004 Highland Hills Dr. 78731 on July 20-22. Hours are Friday, 1-4, Saturday, 9-4 and Sunday, 9-2. When Do You Need An Estate Sale? Usually, if there is a death the executor finds a way to dispose of the items that heirs do not want or may decide to have an estate sale so that the heirs each get an equal amount of money. Often heirs disagree about what they want and two siblings may want the same piece of furniture. Selling the items and dividing up the money is the fairest way to handle a difference in value between what people want. Downsizing to a smaller place or moving out of town is another reason to have a sale. Some pieces of furniture that you want to keep should be tagged “Not for Sale” or removed before the estate sale workers begin pricing items. Many times, the scale of the furniture for a large home is not suitable for a smaller space, so people may want to sell their furniture and buy new items with the smaller space in mind. Typically, sofas and dining room sets are too big to fit in the new place. Sometimes, people get a price on moving their furniture and decide to start over with buying new items at the new location because they can save the moving costs. We pay the client 60 percent of net proceeds after we deduct sales tax and a set up fee. The set up fee is $25 per day per person and it usually takes three people about 4-5 days to get ready for the sale. If the house is large and the owner has lived there a long time, it may take longer to sort and price things. Contact Us today to schedule your Estate Sale at 512-577-1015. If you need help disposing of items but do not have enough to hold a sale, contact Linda Moore at 512-577-1015. 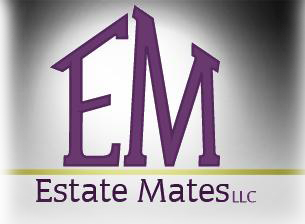 Estate Mates, LLC provides estate sale services for clients in the Austin Area who need to downsize or liquidate an estate. We organize, price, and display the items attractively and conduct the sale on Saturday and Sunday. After the sale, the client has a choice on how to handle the leftovers. We sell everything from new to vintage to antique and from ordinary household goods to the extraordinary (vintage cars and welding equipment are some items we have handled in the past). If you have a car that needs to be sold, we can handle the sale while we are doing the estate sale. By pricing items above garage sale and below retail, we attract dealers, collectors, and the general public. Linda Moore is a real estate broker with 30 years in the business, who can sell the house and the contents. Her experience working for another estate sale company gives her knowledge of how to price household items. We pay the client 60% of Net proceeds after we deduct Sales Tax and the Set Up Fee ($25 per day per person). It usually takes 4-5 days for 3 people to get ready for a sale. If the house is large and the owner has lived there a long time, it may take longer to sort and price things. Checks accepted for purchases over $100. No numbers given. Please be in line - we open 15 minutes before published start of sale. © 2019 Estate Mates Austin. All Rights Reserved.